March Madness is huge a event for many college basketball fans. I was personally never into it, and wanted to find a fun way to still be a part of March Madness. I decided to base team picks on their team mascots. 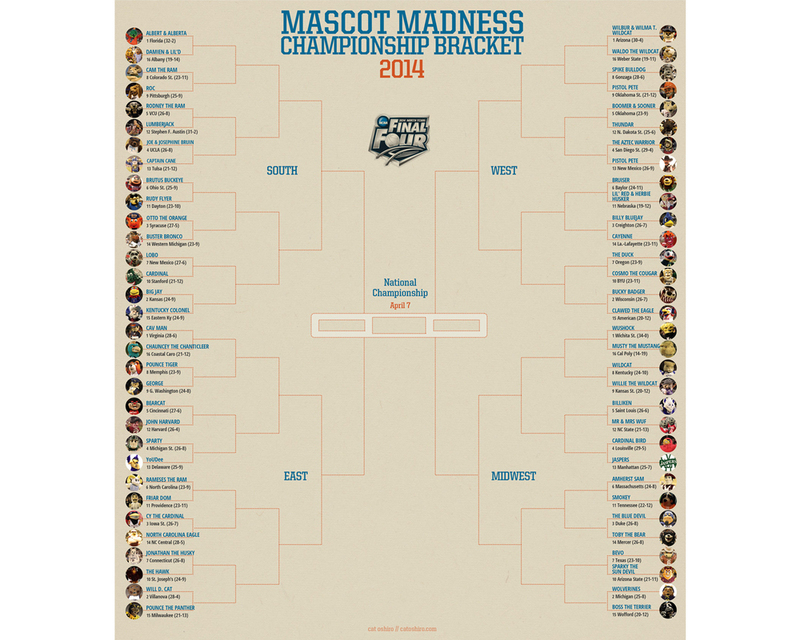 I had a lot of fun creating this bracket and learning about the different school mascots.